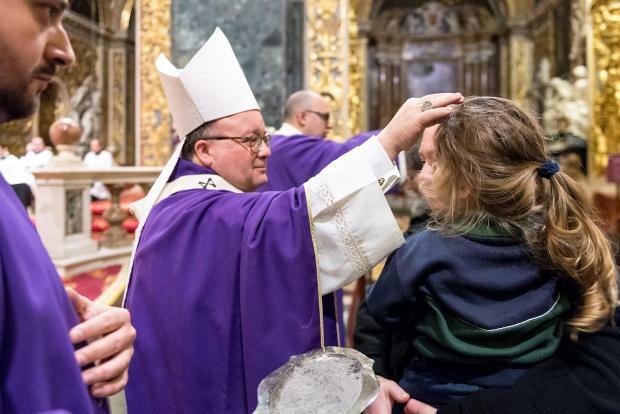 Archbishop Charles Scicluna will celebrate the Ash Wednesday Mass together with the Cathedral Chapter at St John’s co-Cathedral in Valletta on Wednesday at 6.30pm. It will include blessings and the ash celebration during which ashes are used to mark a cross on parishioners' foreheads to symbolise repentance for sin. The public is invited to the celebration. During Lent, the Church encouraged Christians to read the Bible, take part in the sacraments and attend spiritual exercises. The Curia also said that on Ash Wednesday and on Good Friday, all those over 18 and under 60 had the duty to fast, unless they had a serious reason for not doing so. Those over 14 had the duty to abstain from eating meat or other food they enjoyed. While encouraging penitence during Lent, the church also said that all Fridays throughout the year were a day of penitence.